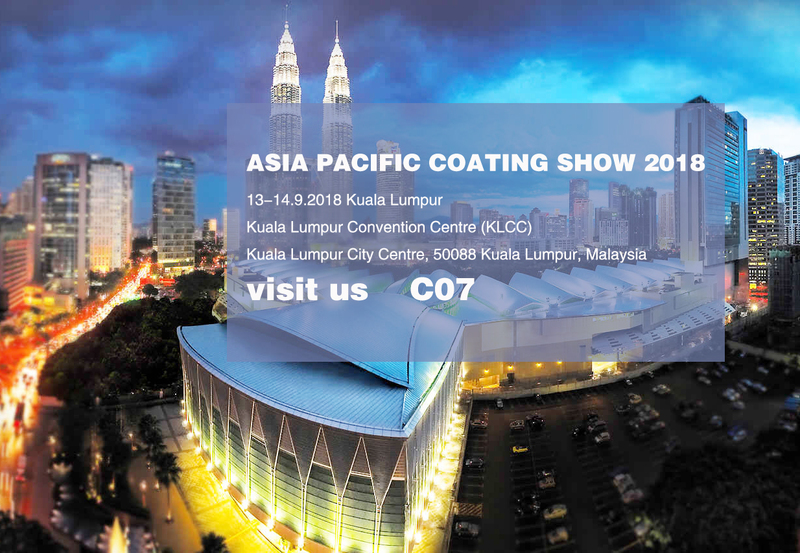 Asian Pacific Coating Show, APCS 2018 will be held Kuala Lumpur, Malaysia on 13-14 September. The exhibition is organized by the famous British media and Exhibition Company (DMG events (MEA) Ltd). It is the famous painting show in Asia Pacific region currently. It is the most professional manufacturing equipments exhibition for paint industry, raw materials and coating, alternating in Thailand, Indonesia, Malaysia and other countries every year. The last time in Indonesia at 2014 and again meet here in 2018. In 2013, bilateral trade between China and Malaysia reached a record high of 100 billion US dollars for the first time. Malaysia has become the third Asian country with more than $100 billion in trade with China except Japan and South Korea, and has become China's largest trading partner in ASEAN. China-Malaysia trade accounts for nearly a quarter of China-ASEAN trade. Among them, China's exports to Malaysia amounted to US $45 billion 930 million, an increase of 25.8% over the same period last year, and the growth rate was very strong. Against the background of deepening cooperation in the China-ASEAN Free Trade Area (CAFTA), it has become a top priority for Chinese enterprises to seize the Southeast Asian market as soon as possible. According to an analysis of the latest research report "Major Challenges, Opportunities and Prospects for the Coatings Industry in Malaysia and the Global Market" from the Information Research Department of the Malaysian Credit Rating Agency, the annual growth rate of the paint and coatings industry in Malaysia is expected to reach 14% in the next five years, and the growth momentum will come from domestic demand at the same time. And export demand. The revival of the country's electronics and electrical industry, as well as strong demand for automobiles, industrial equipment, metal products and marine industries, will lead to greater growth in the paint industry in recent years. Paints and coatings are both intermediate and final products. They provide protection and enhance performance and aesthetics for Malaysian products. The strength of the industry will help Malaysia industrialize and stimulate exports. In the Malaysian market, there are only a few companies competing, and some big international companies are stepping up their efforts to expand in the country's market, which has given impetus to the development of Malaysia's coatings industry. Despite competition, patent protection and high product standards, Malaysia's domestic public sector is facing some challenges. The Division has been successful in this field.. In order to enhance the influence in the high-speed development of the market, the coating and paints manufacturers have to pay more efforts. In such a competitive market for paints and coatings provides more opportunities and challenges for manufacturers of professional coatings and paint equipments, like FARFLY Technology Company, engaged in coating equipments research and development, production, sales and service. The main products are nano sand mill, horizontal sand mill, basket sand mill, high-speed disperser, emulsifying machine, mixer, all kinds of kettle, filling machine, filter and so on. And can complete the whole production line and relevant chemical engineering projects from the overall designing manufacturing, installing and to the EPC turnkey services on site with our main products according to customer requirements. This time FARFLY Technology Company will carry the high-end product appearance, sincerely hope will show our products to Southeast Asia and around the world at the same time, meet more partners, "China manufacturing" will know in the world.